Microsoft’s Graph Engine, previously known as Trinity was released in May. Graph Engine 1.0 preview was released to the public in May and has seen a reasonable amount of work on it by the opensource community since then. 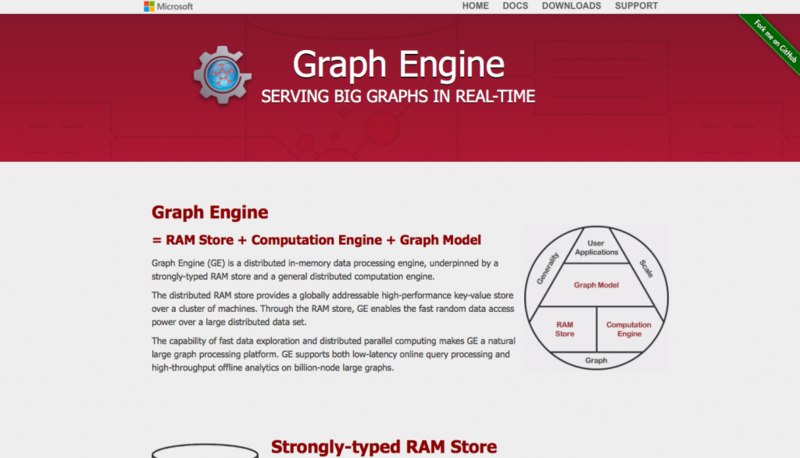 This Graph Engine is a distributed, in-memory, large graph processing engine. One of the drawbacks we see to Microsoft Graph Engine over the likes of Neo4J is that it’s not ACID compliant, and being entirely in memory does have it’s risks, not to mention having to consider RAM requirements based on the size of the dataset.